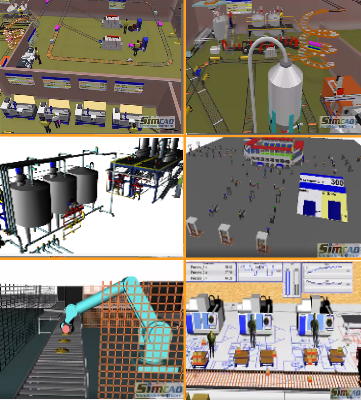 Within a high mix/low volume manufacturing scenario, the same categorical object is made, but it uses different and customization parts, shapes, colors, etc… Simcad Pro simulation software allows the user to create an environment that has the capability to create these customized objects. 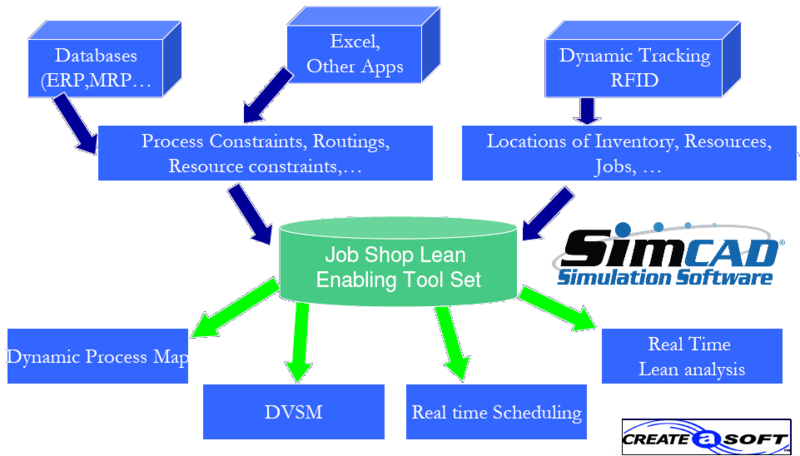 Information and data can be uploaded through Excel, ERP, etc… in order to set the desired parameters for creation. Simcad Pro simulation software can help to channel resources, cut costs and increase productions by identifying, analyzing and optimizing the current system. Increase efficiency while minimizing risk using dynamic simulation software - Simcad Pro. Product sorting and grouping for high mix operations. Detailed routing analysis for every object flowing through the system. Part based efficiency and its effect on the overall model. Cycle time breakdown showing non-value added time and schedules in a Gantt chart format. Effects of transition and product movement on the flow.